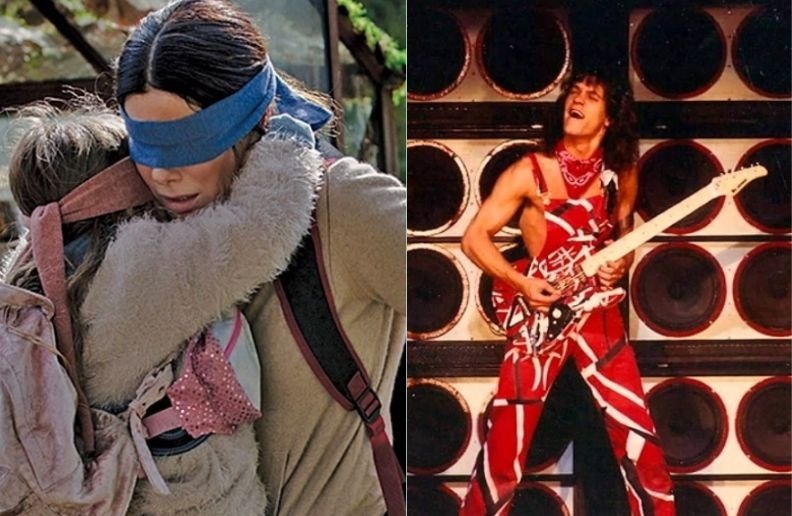 A video posted on YouTube shows guitarist Matt Hooper fulfilling the so-called “Bird Box Challenge” on guitar. In the film he plays blindfolded Van Halen classic instrumental track “Eruption”. The “Bird Box Challenge” is inspired by the horror film “Bird Box”, released on Netflix, that has Sandra Bullock as the protagonist. In the feature film, people walk blindfolded to avoid eye contact with a mysterious being that leads to suicide. In this way, several people are making videos that appear walking on the streets and performing various activities without vision. Although Matt Hooper has taken the challenge cautiously, there are several reports of accidents caused by people taking the challenge on the streets. More recently, a 17-year-old girl has caused a collision between two cars while trying to drive a vehicle blindfolded. On review aggregator Rotten Tomatoes, the film holds an approval rating of 64% based on 129 reviews, with an average rating of 5.8/10. The website’s critical consensus reads, “Bird Box never quite reaches its intriguing potential, but strong acting and an effectively chilly mood offer intermittently creepy compensation.” On Metacritic, the film has a weighted average score of 52 out of 100, based on 25 critics, indicating “mixed or average reviews”.